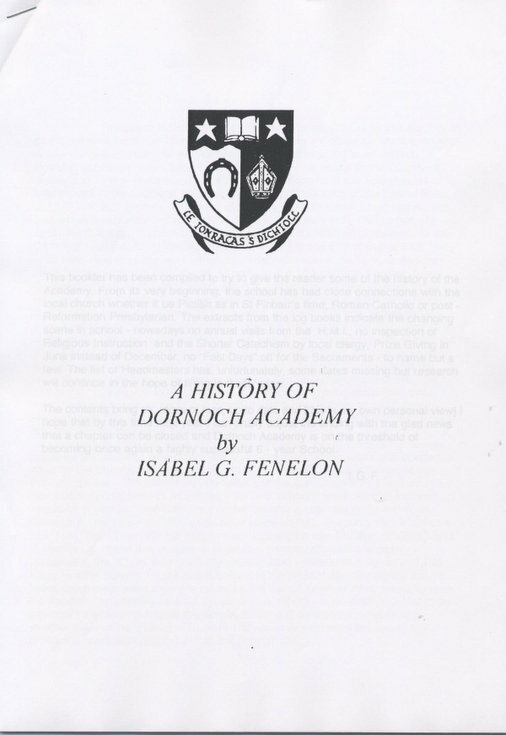 Photocopy of A History of Dornoch Academy by Isabel G Fenelon. Includes history of education in Dornoch back to 16th century, extracts from the log book from 1875, and a chronological list of head teachers. 19 pages stapled.